E Z Does It! Dolman Jacket by D'ates d'signs. 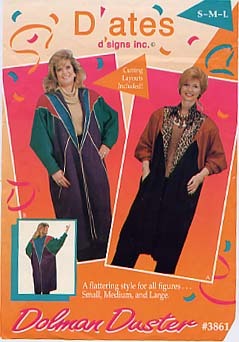 New, unused pattern from 1995. 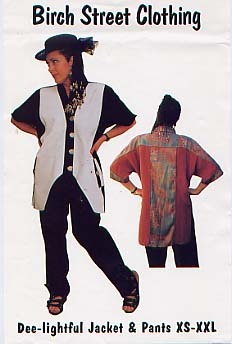 This lovely draped garment with 3/4 sleeves is designed from one piece of fabric, plus the bands! The Dolman design begins from behind the hips to five a wonderful drape and yet keeps the fabric out of your way! Select yur size by hip measurements.